Save $50 on Service B at Mercedes-Benz of Albuquerque through April 30, 2019. Print this coupon and bring it with you to present at the time of service. Coupon cannot be used with any other offer. Does not apply to tires, keys, glass or sublets. Price advertised for Service A/Service B includes all factory-required components. Please refer to your maintenance booklet for the complete list of factory-required services and details on the specific intervals for your vehicle’s year and model. MY09-newer. Two years of FREE Road Hazard Protection with qualifying OEM or OEA tire purchase at Mercedes-Benz of Albuquerque. *Two years of FREE Road Hazard Protection with qualifying OEM or OEA tire purchase at Mercedes-Benz of Albuquerque. Not applicable on prior service or repairs. Customer is responsible for local tax and Shop Supplies fee. Some exclusions apply. See Service Advisor for complete details. Offer only valid at Mercedes-Benz of Albuquerque. Expires 4/30/19. 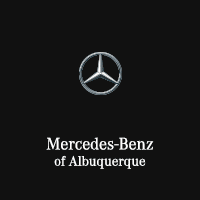 This offer is good only at Mercedes-Benz of Albuquerque on 10,000-mile Service A inspections. *One-time use only. Must present at time of service to receive offer. Valid at Mercedes-Benz of Albuquerque. Cannot be combined with other offers. Not valid on previous purchases or collision repairs. We, in our sole and absolute discretion, reserve the right to amend, modify or terminate any of the products and services offered in this promotion without further notice. Price advertised for Service A/Service B includes all factory-required components. Please refer to your maintenance booklet for the complete list of factory-required services and details on the specific intervals for your vehicle’s year and model. Valid on vehicles MY09-newer. Expires 4/30/19. Your Mercedes-Benz Deserves the Best! Get your Mercedes-Benz ready for road trips! Take up to $150 off new tires (set of 4) or $75 (set of 2). Mercedes-Benz tires are precisely engineered. Get in touch with us and schedule your appointment so your ride is ready for spring and summer road trips. Restrictions apply. Offer ends 5/31/19.